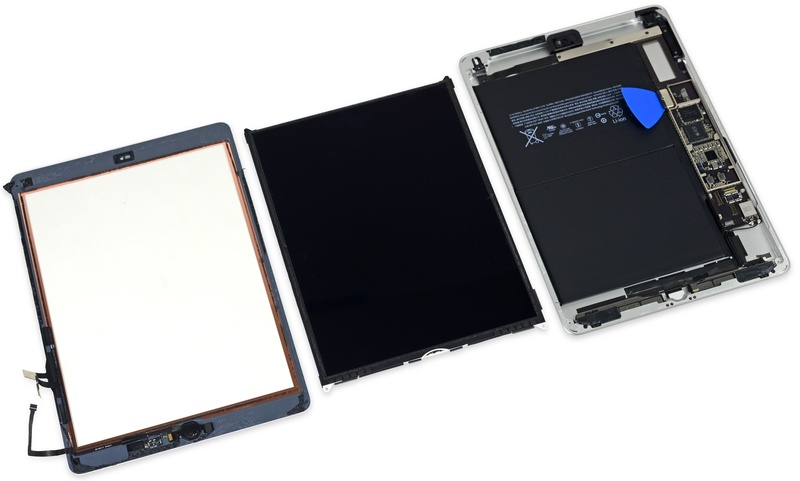 Repair experts over at iFixit tore apart Apple’s new iPad with a brighter 9.7-inch screen. 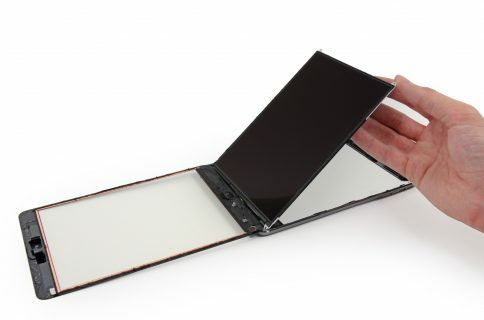 What they discovered doesn’t come as surprise: the canonical iPad is basically an original four-year-old iPad Air with a more repairable screen and some new jewelry in the form of Touch ID, Apple Pay, Apple’s homegrown third-generation 64-bit A9 chip with the embedded M9 motion coprocessor and other minor updates. Unfortunately, the device’s A9 processor is outfitted with two gigabytes of RAM. iPhone 6s’s A9 chip has two gigabytes of RAM as well, just like iPad Air 2’s A8X chip, so this may not be that big of a deal. On the other hand, it’s a letdown considering iPhone 7 Plus is rocking three gigabytes of RAM. For starters, the headphone jack on this new iPad (model number A1822) is still intact. The hardware Orientation Lock switch didn’t make the cut, however, which isn’t surprising given it was removed from iPad Air 2 due to the fact that the software Orientation Lock toggle can be accessed easily through Control Center. The 9.7-inch 264ppi Multi-Touch Retina display has the same 2,048-by-1,536 pixel resolution like all 9.7-inch Retina iPads. Unlike iPad Air 2’s display, it non-laminated so you’ll see a gap between the cover glass and the panel, meaning image quality may be slightly reduced due to light refraction. 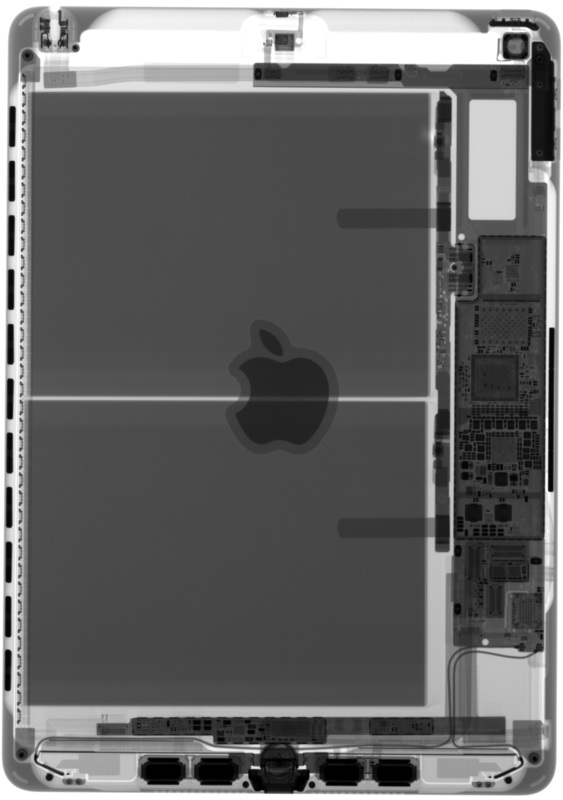 Here’s a look at the device in X-ray glory, courtesy of Creative Electron. The digitizer and LCD from the original iPad Air fit in this new iPad, but iFixit needs more time to determine if they actually work. Like with other iOS devices, the Touch ID sensor is uniquely paired to its logic board at the factory, making repairs harder. The Home button has remained mechanical, not a non-moving part like in iPhone 7. The device uses the same Parade DP655 LCD timing controller like the original iPad Air. 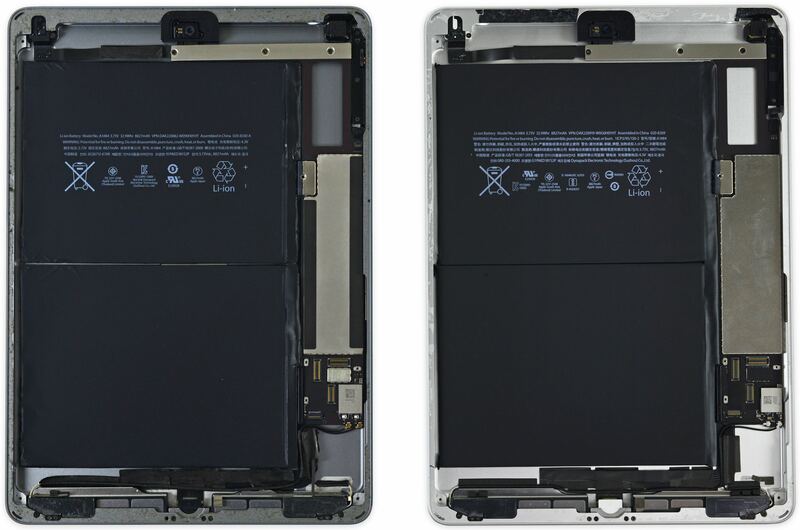 iFixit took issue with Apple’s claim that the new tablet has a “brighter” display. “Our question is: brighter than what? It doesn’t look that different from the original iPad Air’s display. 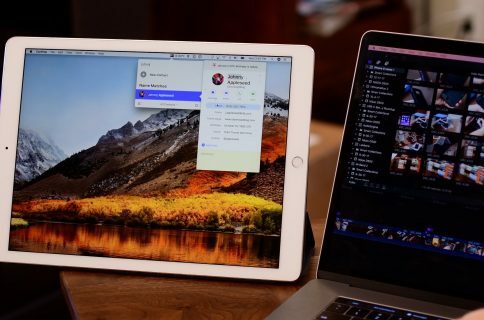 If they mean brighter than iPad Air 2, then that may simply be due to reverting to the unfused display design of the original iPad Air,” they noted. 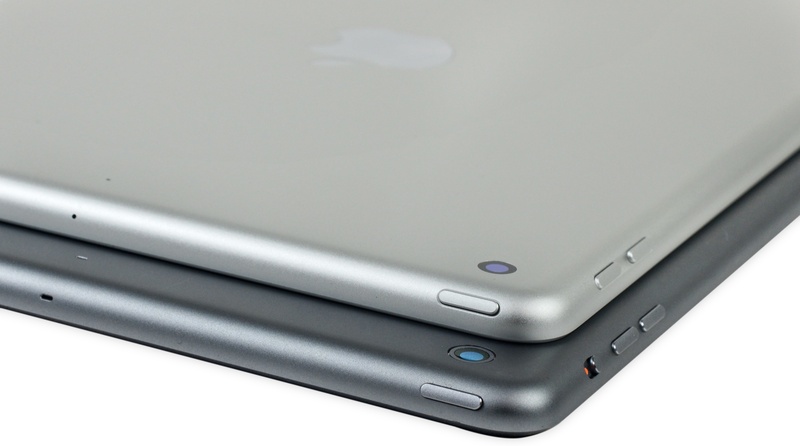 The original iPad Air (left) and 2017 9.7-inch iPad (right). The original iPad Air and its 2017 counterpart pack in the same 32.9 watt-hour battery, beating the 27.6 watt-hour battery in iPad Air 2 and the 27.9 watt-hour reservoir in the 9.7-inch iPad Pro. Although the battery is not soldered to the logic board, “gobs of adhesive” hold everything in place. 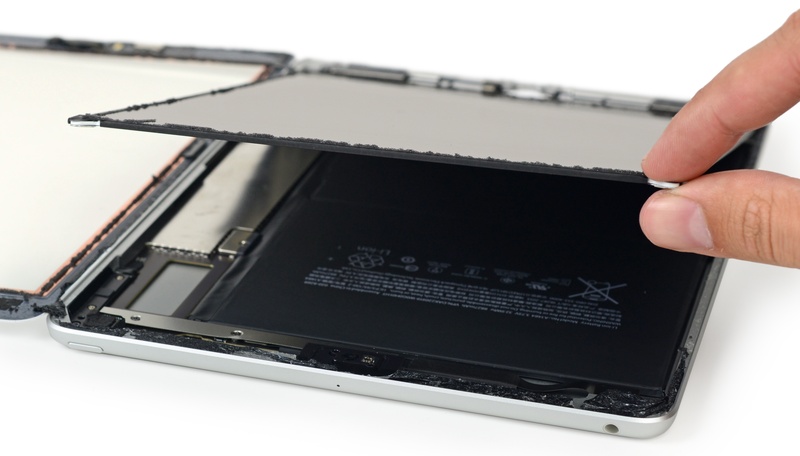 Like with the original iPad Air, it’s the most difficult battery to remove in an iPad. Other shared components include iPhone 6s’s A9 chip with two gigabytes of RAM, Broadcom touch controllers from iPhone 5/5c/5s/6/6 Plus/SE/iPad Pro/MacBook/MacBook Air/MacBook Pro, NXP-made NFC controller with Apple Pay support (as seen in iPhone 7 and Apple Watch Series 2), NXP’s USB charging controller from iPhone 7 and more. 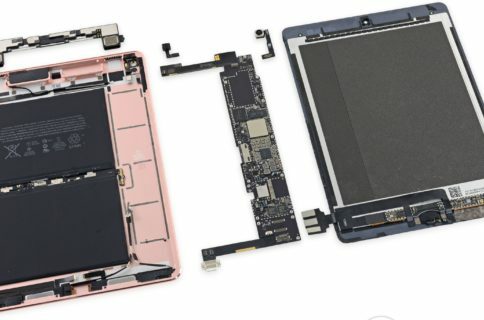 The new iPad, iFixit sums it up nicely, bucks iPad Air 2’s slimming trend and brings back the thicker, more repairable screen of the original iPad Air. “That makes the device cheaper to make (good for Apple) and cheaper to fix (good for consumers),” said iFixit. They graded the device at a 2/10 on its repairability scale, same as the original iPad Air and the 9.7-inch iPad Pro model.